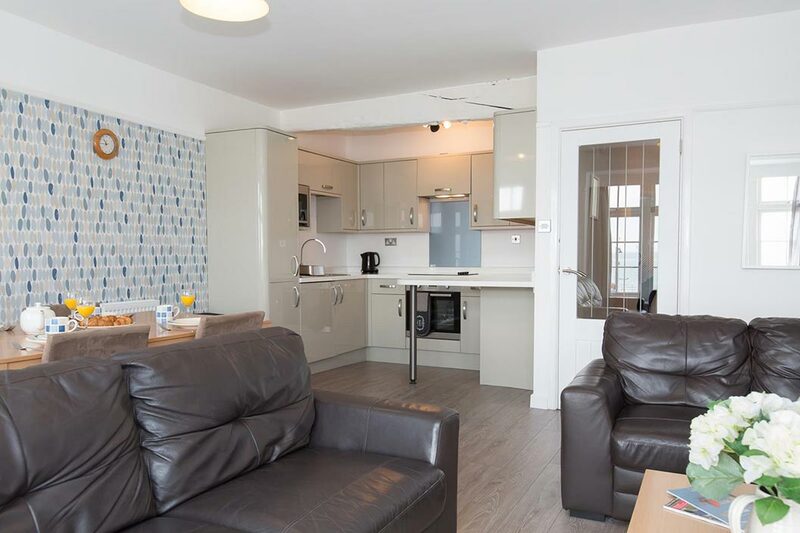 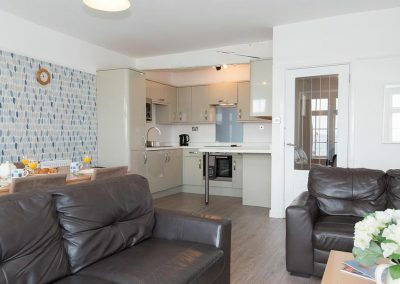 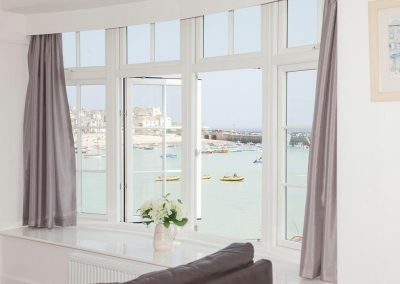 Welcome to our Holiday Flat overlooking the Harbour at St Ives in Cornwall. 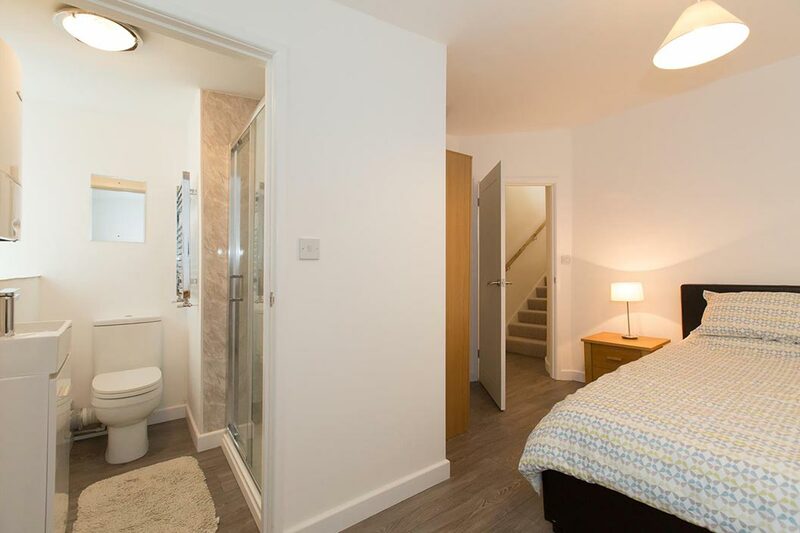 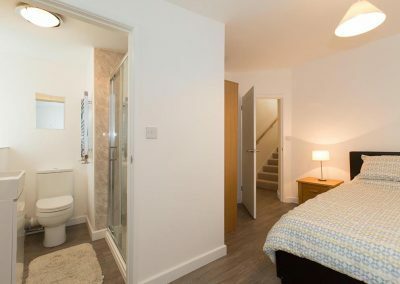 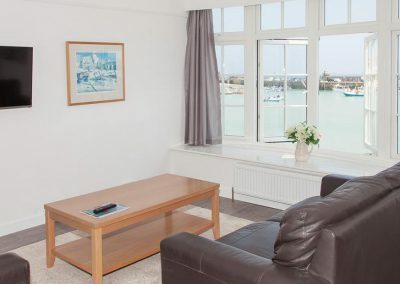 The apartment has 2 double en-suite bedrooms and directly overlooks the Lifeboat Slipway. 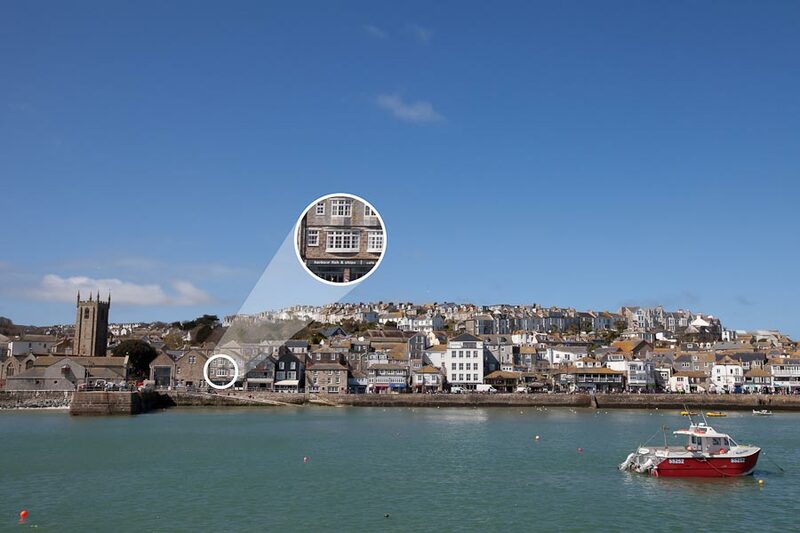 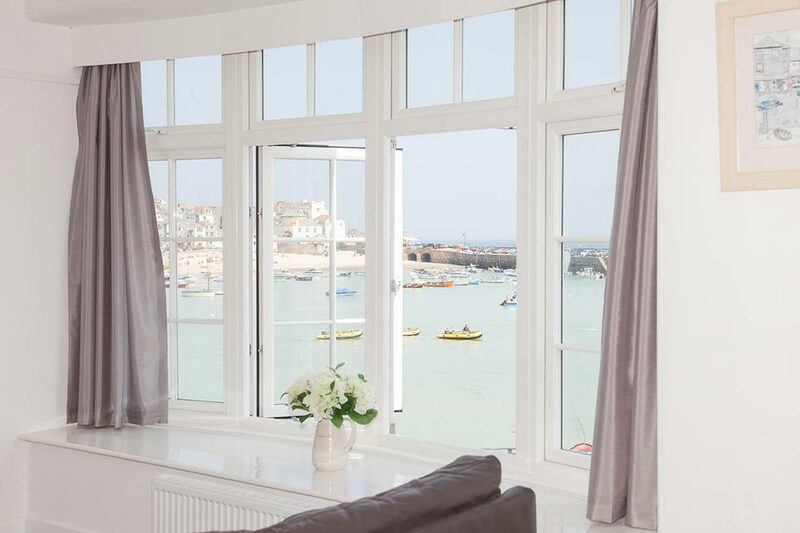 Being on the first floor, with a huge bay window, our flat enjoys some of the finest views of St Ives Harbour and the seafront. 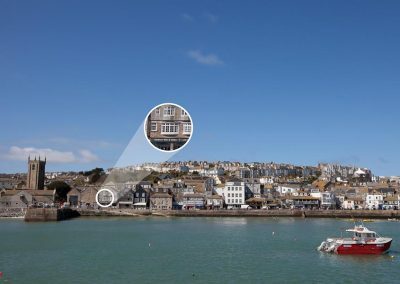 Enjoy all the action of the lifeboat being launched as she simulates rescue trials in St Ives bay, or watch the fishing boats deposit their catch of fish at Smeaton’s Pier. 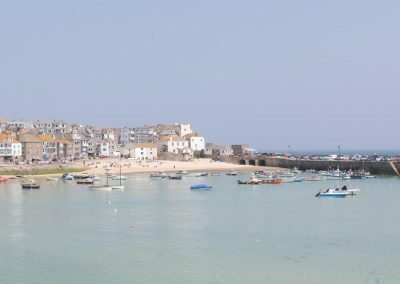 In high summer relax with local Cornish Silver Bands and Choirs as they entertain you during the early evening.